We’re halfway into October. It feels like we’ve missed something. Is it really almost Halloween? Our main blogger (Annie) has been traveling in Europe for the past 11 days. As she catches her breath (including working on an exciting post to recap her travels) we’ve asked Abbie at Needs Salt to share one of her incredible recipes with you all. We were sooo lucky when she agreed and we are bouncing with excitement over her post. Her blog is all about beautiful, delicious and above all – healthy recipes and we’re so grateful to have her here today! Thanks, Abbie! Okay, so I am super excited today for obvious reasons. First I want to say a big giant thank you to Holly, Annie and Chelsea for having me guest post today! 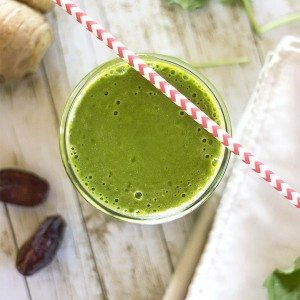 I love their blog, Natural Sweet Recipes. 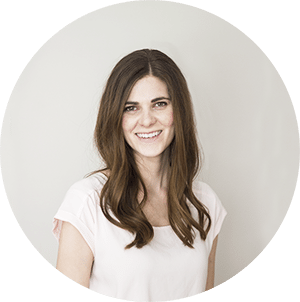 There aren’t many blogs like this one out there – real, wholesome and healthy food for normal people. No freaky ingredients that one must day trip to the nearest metropolis to hunt down. 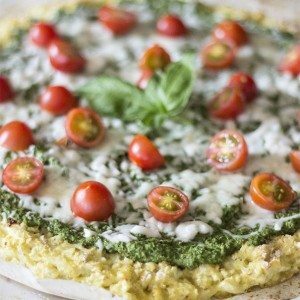 I love all the recipes these brilliant sisters post and wish I could try them all! Okay, so let’s talk about doughnuts. I have to admit, I was sort of hesitant to break out the first can of pumpkin this year. I feel like summer should’ve lasted longer. Yes, things like cinnamon and nutmeg and apples and molasses are lovely – but can’t we incorporate them into ice cream? Or something? I’m sure we can and we have. But you don’t really crave ice cream on foggy sub 50’s mornings when you wish you could quite literally crawl into your cup of coffee. (<true feelings, experienced.) No, sadly. Why does it ever have to get cold? Why? I just… I won’t talk about this. It’s another blog post for another day, if you ever feel like reading me rant about such pointless droll most often induced by cupcakes or the lack thereof. 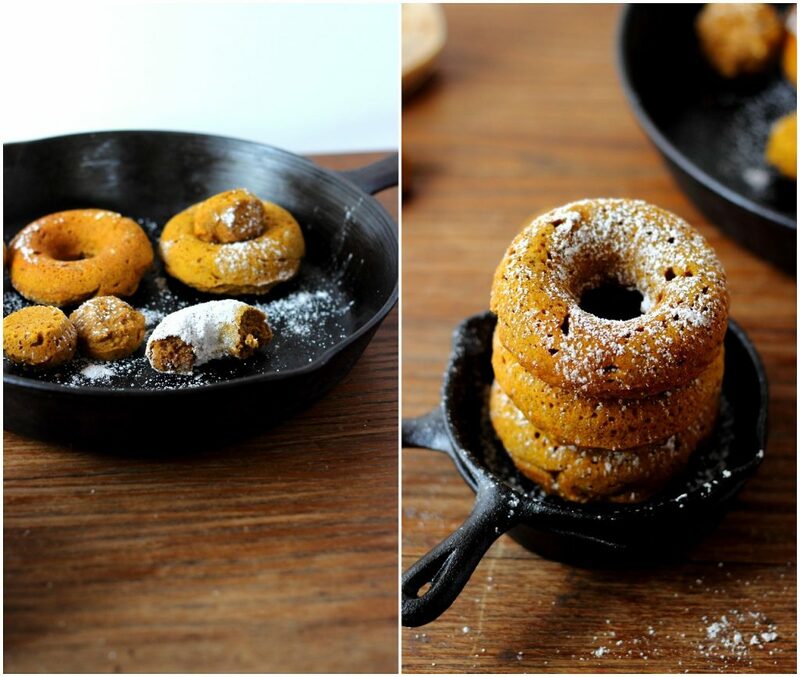 I will embrace fall and every lovely spice and somehow make it include doughnuts. 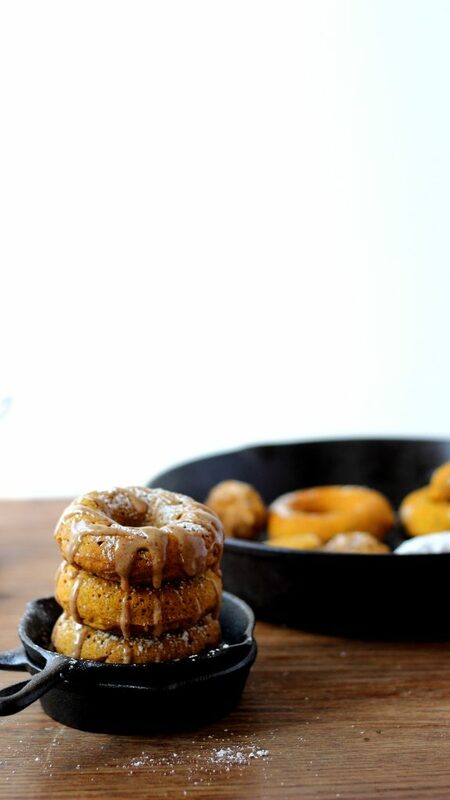 So as you have probably already guessed, these pumpkin spice cake doughnuts are baked (in a doughnut pan! brilliant invention – best investment ever.) and are also pretty much the best curl up on the couch and sip tea/coffee/cocoa/whatever warms your soul (no cliches intended) sweet snack. If you’re only going to make one pumpkin thing this season (um, who are you.) then let me please convince you to make these doughnuts. They’re warmly spiced (with TONS of autumn spices,) mildly sweet (hello innocent breakfast,) perfectly moist but perfectly light and cake-like, gluten-free (WHAT? WHERE?) and dairy-free. And then the almond maple glaze (oh my) is another story. 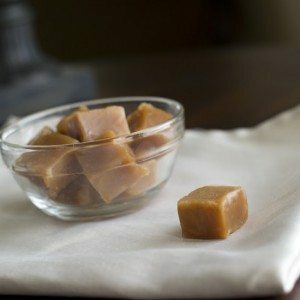 Sticky and naturally sweetened with pure maple syrup (which is THE BOMB. right after pink Himalayan salt.) you’re gonna want to drizzle this stuff over everything. Including doughnuts, including hands. Maybe not kale. Okay you guys I’m having way too much fun over here. Can I tell you one more thing about these doughnuts? 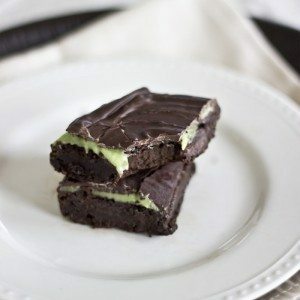 I sort of made a double batch and they were sort of all devoured in less than 24 hours. I think that sort of speaks for itself. (Do you think I overuse this phrase? Sort of? I don’t know either.) Make these doughnuts. You’ll be insanely glad you did. Preheat oven to 350 degrees Fahrenheit. Spray doughnut pan with cooking spray; set aside. In a large mixing bowl, combine oat flour, white rice flour, cane sugar, almond meal, baking powder, salt and all the spices. In a separate bowl, whisk together the egg, ground flax seed, milk, pumpkin puree, melted coconut oil, applesauce and vanilla extract. Whisk until everything looks smooth and incorporated. Add the wet ingredients to the dry ingredients and stir with a wooden spoon until everything is combined and no dry flour remains. Be sure to scrape the sides and bottom of the bowl. Do not overmix. Spoon batter into the cavities of the doughnut pan, filling them almost entirely up to the top, with just a fraction of a space remaining. This will lend fluffy, authentic-looking doughnuts. Bake doughnuts in preheated 350 degree oven for 15-18 minutes, or until slightly golden brown and springy. A toothpick inserted into the center of a doughnut should come out clean, with just a few tiny crumbs on it. Allow doughnuts to cool for 5 minutes in pan before gently releasing them from the cavities with a thin spatula. Transfer to wire racks to cool completely before adding glaze. In a small jar, stir together all ingredients for the glaze until smooth. Add more almond milk for a thinner consistency. Drizzle glaze on doughnuts and devour. *To quickly bring an egg to room temperature, gently place it in a bowl and cover with warm water; let it hang out while you prepare everything else. Thank you again for having me, Holly, Annie and Chelsea! It was a total pleasure. Definitely need to get my hands on a doughnut pan so I can make these.. they look so delicious. Wish I had one to devour right now! These donuts and glaze look amazing! Problem is, I’ve tried multiple times and for some reason I can’t pin the recipe to pinterest since it couldn’t “fetch the photo”. What could be going wrong? Thanks! Oh no! We’ll look into it! Thanks for letting us know! 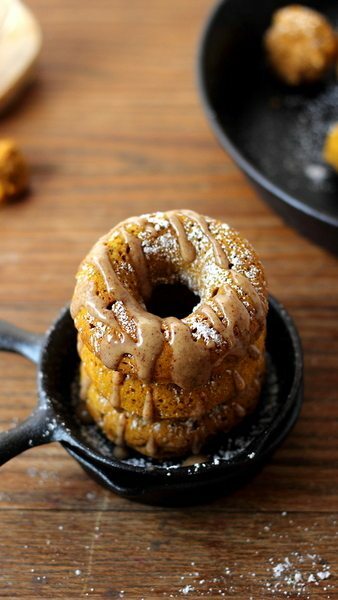 I’m always a fan of donuts and extra-always a fan of pumpkin! And a fan of Abbie’s, obvs. These donuts look amazing and I’m obsessing over that glaze. Yes! That glaze looks killers! YUM!!! These sound perfect for Fall!